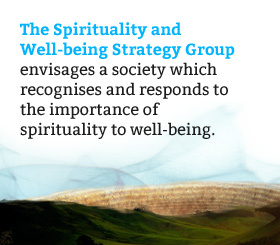 The Spirituality and Well-being Strategy Group are interested in exploring the concept of spirituality and its link to well-being. Richard’s work has focused on researching ‘spirituality’ on and off for 30 years. In 2010 he finished a PhD looking at spirituality in end-of-life care in New Zealand hospices. His Master’s thesis examined spirituality in New Zealand State schools, and he has academic qualifications in theology, english literature, religious studies, and public health. Richard has worked as a secondary school teacher, a health promoter and is currently a lecturer in health promotion in the Department of Preventive & Social Medicine at the Dunedin School of Medicine, University of Otago, with research interests in spirituality in healthcare, psycho-social-spiritual supportive care in cancer, and health promotion. Simon is currently Chief Executive Officer of the Bishop’s Acton Foundation which works as a catalyst for change supporting communities and organisations to address as yet unmet needs. He has extensive experience in community development, capacity building, social research, governance and management. In 2009 the Foundation published the findings of research into the impact of spirituality on the well-being of older New Zealanders and continues to explore the relevance of spirituality to social and community well-being. Simon has an MPhil with a research thesis that examined governance in community sector organisations and has completed Post-Graduate Diplomas in Development Studies and Public Health. He is President of Social Development Partners, one of the community sector’s umbrella organisations, is an accredited business mentor with Business Mentors New Zealand and a coach of junior level cricket. Anna been a General Practitioner in Africa, the Chatham Islands, Kaitaia, Lincoln, Diamond Harbour and Mosgiel. She worked as Assistant Medical Superintendant in Chief for the Canterbury Hospital and Area Health Boards. She spent ten years working as a medical officer in the Otago Community Hospice. A lifelong interest in spirituality in human development, health and healing led to a PhD in Spirituality in General Practice in completed at Otago in 2012. She is currently pursing an interest in spirituality and ageing and the place of spirituality in community. Tess (Ngai Tai ki Tamaki and Ngati Pukeko) is a qualitative researcher who specialises in Māori palliative care, death, dying and bereavement. She has previously worked as an ACC registered sexual abuse therapist and Problem Gambling counsellor in the Bay of Plenty region. Tess has contributed to two Hospice NZ Governance Boards and she sits on the ACC Sensitive Claims Advisory Board and the Māori Working Group. Tess is currently a co-applicant and lead researcher on the Te Pākeketanga Study (a sub-study of LiLACS NZ; a longitudinal study on successful ageing for people of advanced age). Te Pākeketanga investigates the end of life preferences and experiences of older people and their whānau and families at the end of life within 5 geographical areas. Previous to this, Tess won an HRC post-doctoral grant to lead the Kia Ngawari study (2010-2012). Kia Ngawari investigated the end of life experiences and cultural needs of adult Maori who had a life limiting illness, and their whānau (family). Chris Perkins is an old-age psychiatrist. Since 2008 she has been director of the Selwyn Centre for Ageing and Spirituality (The Selwyn Foundation). The Centre promotes spirituality as part of holistic care for older people through research, education and advocacy. She is also the chair of the steering group of the National Dementia Cooperative and a member of the Board of Alzheimer’s NZ. She has a special interest in spirituality in dementia. Charles Waldegrave, Coordinator Family Centre Social Policy Research Unit, Anglican Social Services, Hutt Valley. Charles Waldegrave is a psychologist, a family therapist, an Anglican priest, a social policy analyst and researcher. He is a Coordinator of the Family Centre in Lower Hutt, Wellington and he leads the Social Policy Research Unit there. He is a joint leader of two large research programmes: the New Zealand Poverty Measurement Project (NZPMP) and the New Zealand Longitudinal Study on Ageing (NZLSA). With his colleagues, he has also helped develop an internationally recognised approach to contextualizing therapeutic work around cultural, gender and socio-economic equity, known as ‘Just therapy’. He has published extensively in social policy and therapeutic journals in New Zealand and internationally. We would like to thank a range of people who have commented on earlier drafts of this paper. Becroft, A. . (2007). Some key issues facing young people today from the perspective of the Youth Court in New Zealand (Vol. 28, pp. 45-46). Counselling Today/Nga Korero Awhina Newsletter of the New Zealand Association of Counsellors/Te Roopu Kaiwhiriwhiri o Aotearoa: Wellington. Berry, D. (2005). Methodological Pitfalls in the Study of Religiosity and Spirituality. Western Journal of Nursing Research, 27(5), 628-647. Durie, M. (1998). Whaiora: Māori Health Development (2nd Edition ed.). Auckland: Oxford University Press. Egan, R., MacLeod, Rod, Jaye, Chrystal, McGee, Rob, Baxter, Joanne, & Herbison, Peter. (2010). Spirituality in New Zealand Hospice Care, Ph.D. thesis. (PhD), University of Otago, Dunedin. Fraser, Deborah. (2004). Secular schools, spirituality and Maori values. Journal of Moral Education, 33(1), 87-95. Geering, L. (1999). The World to Come: from Christian past to Global future. Wellington: Bridget Williams Books. Harvey, C. (2005, December 31, 2005). Soul Searching, Weekend Herald, pp. B1 – B4. Hills, Judith, Paice, Judith A., Cameron, Jacqueline R., & Shott, Susan. (2005). Spirituality and Distress in Palliative Care Consultation. Journal of Palliative Medicine, 8(4), 782-788. Leibrich, J. (2002). Making space: spirituality and mental health. Mental Health, Religion & Culture, 5, 143-162. Lips-Wiersma, M., & Mills, C. (2002). “Coming out of the closet: negotiating spiritual expression in the workplace”. Journal of Managerial Psychology, 17 (3), 183 – 202. Matheson, P. . (2006). The Myth of a Secular New Zealand. Pacifica, 19, 177-192. Minister of Health. (2000). The New Zealand Health Strategy. Wellington: Ministry of Health. Ministry of Education. (1999). Health and Physical Education in New Zealand Curriculum. Wellington: Ministry of Education. Ministry of Health. (2001). The New Zealand Palliative Care Strategy: Wellington: Ministry of Health. Ministry of Health. (2010). Guidance for Improving Supportive Care for Adults with Cancer in New Zealand. Wellington: Ministry of Health. NHS Education Scotland. (2009). Spiritual Care Matters: An Introductory Resource for all NHS Scotland Staff. Edinburgh: NHS Education for Scotland. Puchalski, C. M. (Ed.). (2006). A Time for Listening and Caring: Spirituality and the Care of the Chronically Ill and Dying. New York: Oxford University Press. Puchalski, Christina M., Ferrell, Betty, Virani, Rose, Otis-Green, Shirley, Baird, Pamela, Bull, Janet, . . . Sulmasy, Daniel. (2009). Improving the Quality of Spiritual Care as a Dimension of Palliative Care: The Report of the Consensus Conference. Journal of Palliative Medicine, 12(10), 885-904. Sinclair, Shane, Pereira, Jose, & Raffin, Shelley. (2006). A Thematic Review of the Spirituality Literature within Palliative Care. Journal of Palliative Medicine, 9(2), 464-479. Speck, P., Higginson, I., & Addington-Hall, J. (2004). Spiritual needs in health care. British Medical Journal, 329(7458), 123-124. Statistics New Zealand Tatauranga Aotearoa. (2006). QuickStats About Culture and Identity. Wellington: Statistics New Zealand Tatauranga Aotearoa. Sullivan, W. Patrick. (2009). Spirituality: A Road to Mental Health or Mental Illness. Journal of Religion & Spirituality in Social Work: Social Thought, 28(1), 84 – 98. Tacey, D. (2003). The Spiritual Revolution: the emergence of contemporary spirituality. Sydney: HarperCollins Publishers. Vaccarino, F., Kavan, H., & Gendall, P. (2011). Spirituality and Religion in the Lives of New Zealanders. International Journal of Religion and Spirituality in Society, 1(2), 88-96. Waldegrave C. (2003). Grappling with a contemporary and inclusive spirituality’ in C. Waldegrave, K. Tamasese, F. Tuhaka and W. Campbell Just Therapy – a Journey: A Collection of Papers from the Just Therapy Team New Zealand Adelaide: Dulwich Centre Publications. WHOQOL-SRPB Group. (2006). A cross-cultural study of spirituality, religion, and personal beliefs as components of quality of life. Social Science & Medicine, 62(6), 1486-1497. Williams, A. L. (2006). Perspectives on spirituality at the end of life: a meta-summary. Palliative and Supportive Care, 4(4), 407-417.